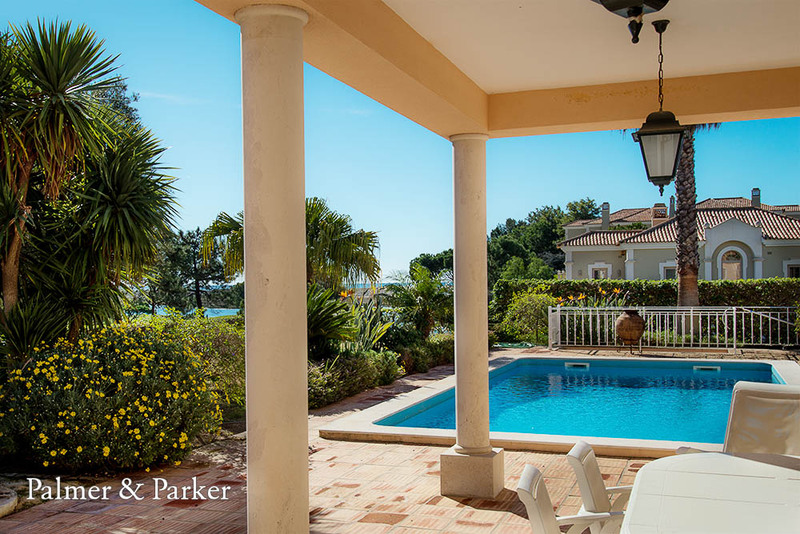 In a perfect location within a couple of minutes walk of the beach at Quinta do Lago this is a comfortable and attractive house with wireless internet, air conditioning throughout, sea views and a private pool and garden. 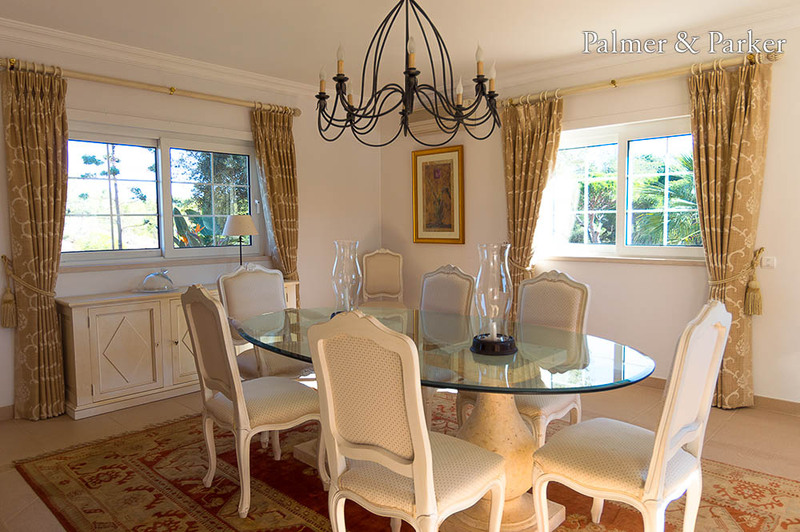 The Quinta do Lago hotel is very close and has restaurants, spa facilities, and gym available. New for 2019 is the addition of a seperate annex with 2 bedrooms, 1 bathroom and a small lounge with kitchenette. Four double bedrooms with air conditioning throughout. Wireless internet. Three bedrooms are on the ground floor, and the master suite takes up the first floor. 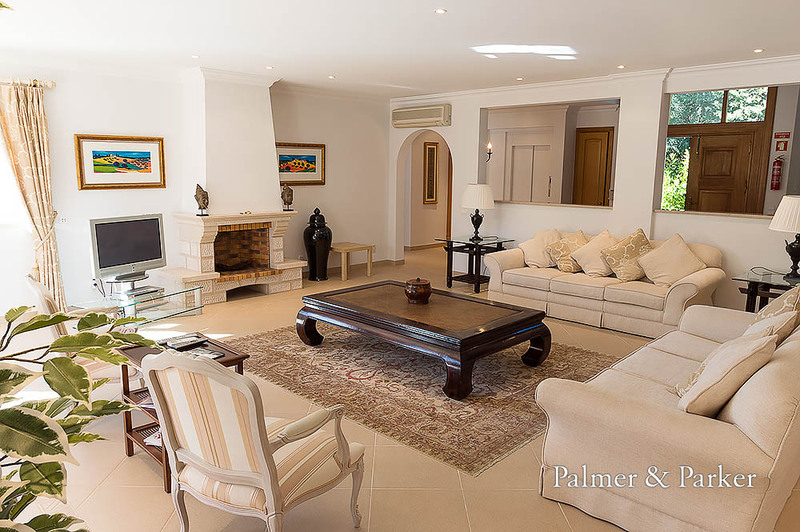 Spacious lounge with TV (cable, many UK channels), big coffee table, and fireplace. 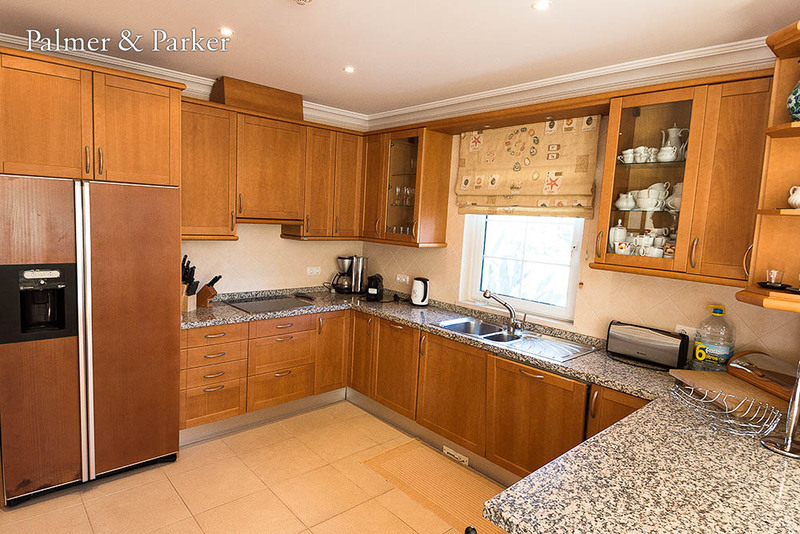 Kitchen: fully furnished with wooden cabinets, oven, microwave, induction hob, dishwasher, filter machine, nespresso, kettle and toaster, leading through to the open plan dining room, witth large table and heavy curtains. Separate laundry room. Bedroom one: double bedroom with en suite bathroom with bath and shower. 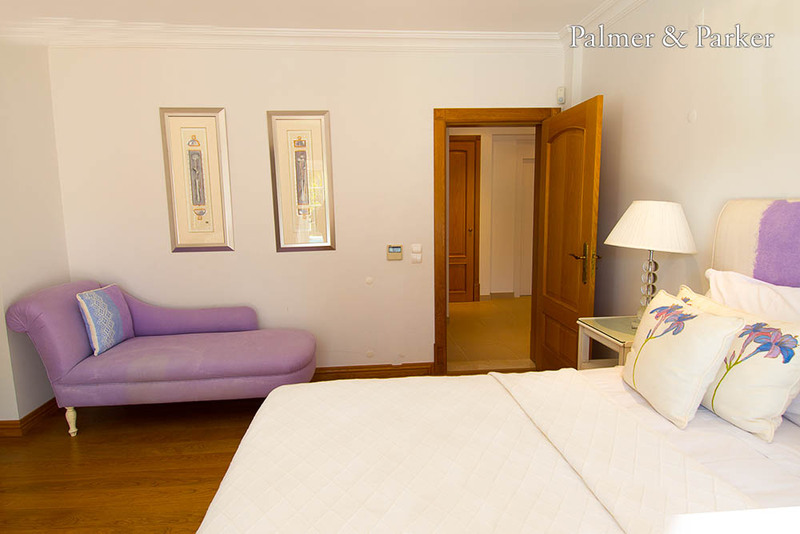 Bedroom two: double bed, and sliding doors leading to the pool terrace. Dressing table, chaise longue and en suite bathroom with bath and shower. Bedroom three: double bed, chaise longue and window overlooking the garden. En suite bathroom with bath and shower. 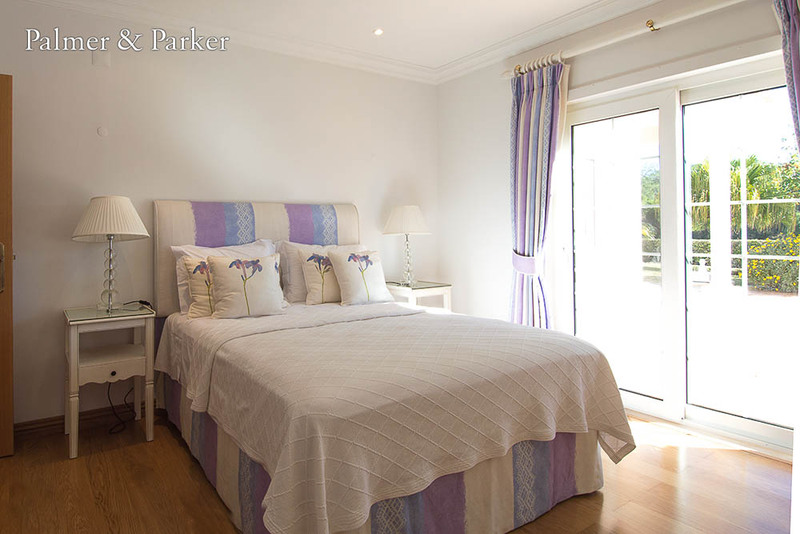 Master bedroom, king size double bed, attractive wooden floor, leading out to a private balcony with sea views: and spiral steps lead up to a roof terrace with 360 degree views of the sea and Quinta do Lago. The en suite bathroom has a corner bath with jets, and a separate shower cublicle. Outside: Private garden and pool (8m x 5m) which can be heated at extra cost. Barbecue and dining table. Garage space for two cars, and further parking on the private driveway. Annex: The annex which is linked to the garage has been developed for 2019 and has 2 further bedrooms, 1 twin bedded room with beds that can be zipped together to create a king and another room with 2 bunk beds and a single (no window). The annex has a shower room with walk in shower and a lounge area with a small kitchenette.